On last Saturday, Edaran Tan Chong Motor Sdn Bhd introduced two new additions to its light commercial vehicle line-up in the shape of the all-new Nissan NV200 Vanette and Navara Single Cab 4×2 in Malaysia. The selling prices for the all-new Nissan NV200 Vanette and Navara Single Cab start from RM62,047.93 and RM64,391.55 respectively before on-road cost. Prices are valid in Peninsular Malaysia and subject to change without prior notice. 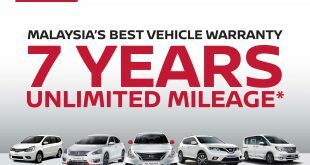 Both vehicles come with a 3-year or 100,000km warranty. 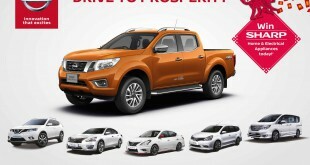 The much-awaited new replacement model of Nissan Vanette is now here in Malaysia. The all-new Vannette is known as NV200. The NV200 is designed to revolutionize the traditional concept of light commercial vehicles, the NV200’s distinctive styling, high level of safety features, advanced functionality and superior fuel efficiency are class-leading, further complemented by a huge cargo space (measuring 4.2m³) which is able to cater to various applications. The NV200 Vanette is powered by 1.6-litre HR16DE engine with Continuously Variable-valve Timing Control (CVTC) producing 109ps and 152Nm of torque, it is mated to a 5-speed manual transmission and the result of this pairing is a best-in-class fuel economy of 14.0 km/litre. The NV200 sets new benchmarks in terms of driving comfort; the front-mounted engine ensures minimal noise intrusion, thus also avoiding the conventional “hot front seats” and lowering driver fatigue. Besides the superior view out and electric power steering, it is aided with a unique Multi-Function Meter that displays key information such as engine revs, fuel consumption, range and driving time on its large 2.8” Dot Matrix Display. The Multi-Function Meter is also equipped with many useful alerts such as speeding, maintenance schedule, timer and even a transmission shift-up alert so that the driver changes gear at optimal engine speeds. Also to note is the innovative single-leaf spring rear suspension system which not only offers a payload of up to 740kg, but due to its compact, space-saving design, the cargo space is optimized to accommodate up to two Euro pallets. Like all Nissan vehicles, safety is likewise a priority for the NV200 Vanette. Standard safety features include Anti-lock Braking System (ABS), Electronic Brake-force Distribution (EBD), Brake Assist, Zone Body construction, SRS Air Bag (for driver), pre-tensioners seat belts with load limiters, high mount stop lamp, wide rear view mirror and large side mirrors. 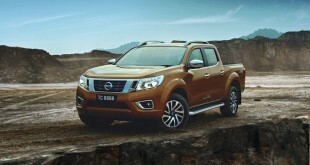 The Nissan Navara Single Cab 4×2 powered by the most powerful common rail diesel engine introduced in Malaysia. Commercial users can choose from three body designs (Luton, Steel or Wooden body configurations) to suit their specific business needs. Each of the body design is built on a double-layered, high-tensile metal frame chassis reinforced with a maximum payload of 750kg. The Navara Single Cab 2.5-litre YD25DDTi Common Rail Diesel Engine with turbo intercooler delivers a output of 144PS and 294 Nm, complemented by a 5-speed manual transmission. While the Navara Single Cab is designed to handle heavy loads, its driver is well isolated from the elements in the cabin. Large comfortable seating, air-conditioning system and a standard 1CD/radio audio head unit ensure that this work horse offers good comfort for the driver. 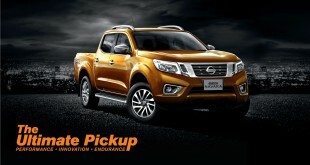 Like other Navara variants, the Single Cab comes with the well-proven independent double-wishbone front suspension and a rigid rear axle with semi elliptic leaf spring. Additionally, its Zone Body Construction offers additional durability and rigidity. The safety equipment list includes side-impact beams, collapsible steering wheel column, and a load sensing brake system that evenly distributes brake pressure to rear wheels for optimal stopping performance.